Please note that some items on our web site require some assembly. Most items sold by us also require a small amount of “setup time”, which instructions are provided for via game manuals and on our website. We cannot be held responsible for any damage to items due to improper setup. 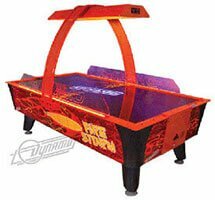 In the event that setup is provided by The Pinball Company, LLC or its authorized representatives, we assume no responsibility for damage to the item or the premises in which the items is being delivered. This includes damage to walls, doors, doorways, flooring, and any other places where such damage might occur during deliver and setup. The Pinball Company, LLC makes no guarantee, expressed or implied, on the delivery time of any products sold. Any estimates given are subject to change and are dependent on time and method of payment, product availability, and turnaround times of shipping companies. The shipping address provided by the customer must be accessible by an 18 wheeler semi-truck. If the customer provides a shipping address that is not accessible, any auxiliary charges incurred must be paid by the customer. The customer is responsible for knowing the dimensions of the products being ordered and to insure the delivery location is accessible. If a customer is unable to receive an item due to inaccessibility and it is returned, it will be considered a refusal to take delivery and will be subject to a partial refund according to the Returns and Cancellations Policy below. We advise that you immediately unpack items upon receipt to inspect for any possible damage and to follow the directions posted on the product packaging. You must do this in the presence of the shipper and note any damage on the shipper’s paperwork. If any damage is present, you must also immediately contact us to make a report. Minor damage including small scratches and nicks may be present on the item and represent normal wear from product packaging and transit. This damage does not warranty refusal of delivery or a product return. We reserve the right to furnish products, new and refurbished, from third parties and have them delivered directly from these sources. Consignment sellers have the right to remain anonymous and silent parties to the sale. Any attempt to contact these sources will result in a final sale with no warranty (as-is). Prices published by us or quoted by our representatives may be changed at any time without notice. Due to fluctuating market conditions, written quotations expire automatically 24 hours from the date issued and subject to change or termination with verbal or written notice during that period. All quotations and prices are subject to adjustment on account of new specifications, modifications, quantities, shipment methods or other terms and conditions which are not part of the original price quotation. We make arrangements to prepare items for shipment as soon as they are ordered. 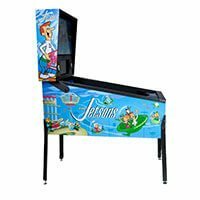 Therefore, orders must be cancelled in writing via email to sales@thepinballcompany.com within 24 hours of purchase to receive a full refund. 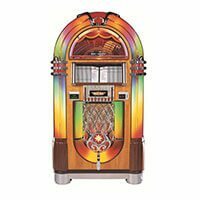 Cancellations and returns authorized by The Pinball Company, LLC will be subject to up to 25% restocking fees and the cost of shipping and return shipping. Refusal to take delivery of products will result is in a refund of 50% of the purchase price, minus applicable shipping and storage costs. We have the right to collect from purchasers all reasonable costs and expenses incurred in collection of any sums owed by Purchaser and we shall not be obligated to make any further deliveries to Purchaser. Such reasonable costs and expenses shall include, but not be limited to, reasonable attorney’s fees. The purchaser (Buyer) confirms that they have read, and agrees to, all terms, conditions and store policies listed in this document. 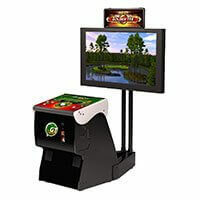 The Purchaser (Buyer) agrees that this agreement and all transactions hereunder, or any dispute or controversy arising out of, relating to, or in connection with any purchase, transaction, agreement, or its interpretation, with The Pinball Company, LLC shall be governed by the laws of the State of Missouri, County of Saint Louis, and agrees that in the event of Federal or State court litigation, all cases will be filed, conducted and heard within the State of Missouri, County of Saint Louis.